// Propellerheads product specialist and professional composer MATTIAS HÄGGSTRÖM GERDT will show you what’s new in the world of the music software Reason and give you a whole bunch of tips on how to get your creative juices flowing. Having worked extensively with soundtracks but also electronic music and rock, there are many things Mattias learned along the way that he’ll now pass on to anyone willing to listen.While showing both advanced Reason techniques and simple tips for any musician, MATTIAS will also answer any questions you might have about Reason or writing music for games.Interested in what Reason has to offer? Need to take your creativity to the next level? Want some useful tips for music production? Wondering how it’s like composing for games? Just want to get inspired? Then this workshop is for you! 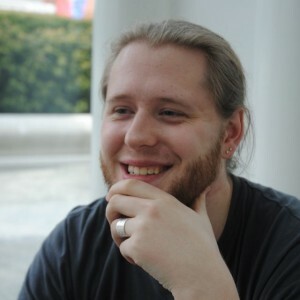 MATTIAS HÄGGSTRÖM GERDT, also known as ‘anosou’, is a Swedish composer, multi- instrumentalist, and Propellerhead product specialist with a heavy involvement in the game music scene and a strong tie to the independent game developer community. Previous post"IN SYNCH - LIFE'S A PITCH" - Workshop & Wettbewerb @#a2n_werkstatt: Apply here! Next postIN SYNCH WORKSHOP: "The structure of major production music libraries. How do they work?"